March 31 elections will take place in a secure environment without any problem, the Turkish defense minister says. Turkey has taken all security measures for the upcoming local elections in the country on March 31, Defense Minister Hulusi Akar said on Tuesday. 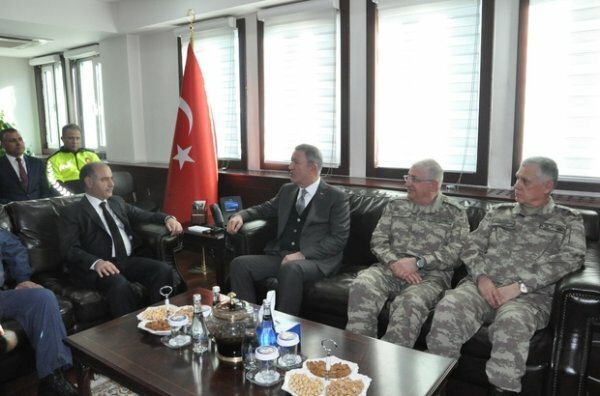 "We are sure that the election will take place in a secure environment without any problems," Akar said during inspections in southeastern Şırnak province. 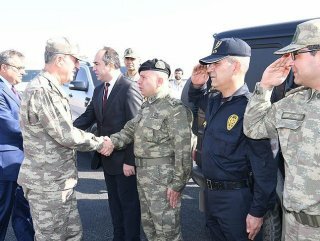 Akar also recalled Turkey's counter-terrorism operations in northern Iraq on Saturday, which left two Turkish soldiers martyred and 12 terrorists dead. "It was an attempt to infiltrate [into Turkey]. Our soldiers showed a tremendous heroism and dedication by burying these traitors," Akar said. According to a Defense Ministry statement on Sunday, the terrorists killed on Saturday also include Serkan Tuncer, who was in the grey category of the Turkish Interior Ministry’s wanted list. In its more than 30-year terror campaign against Turkey, the PKK listed as a terrorist organization by Turkey, the US and the EU has been responsible for the deaths of nearly 40,000 people, including women and children. With daily campaign rallies and politicians’ speeches, Turkey is gearing up for local elections to be held across the country on March 31. A total of 12 political parties will participate in the local elections.